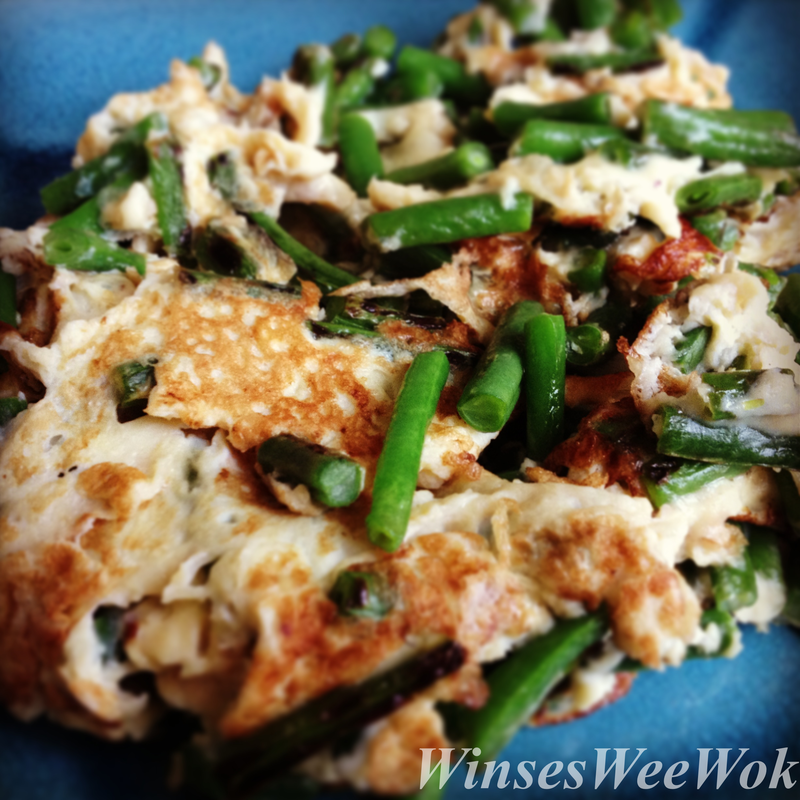 Mum made this dish a lot as supermarkets sell these green beans so cheaply and you get quite a lot in one packet. 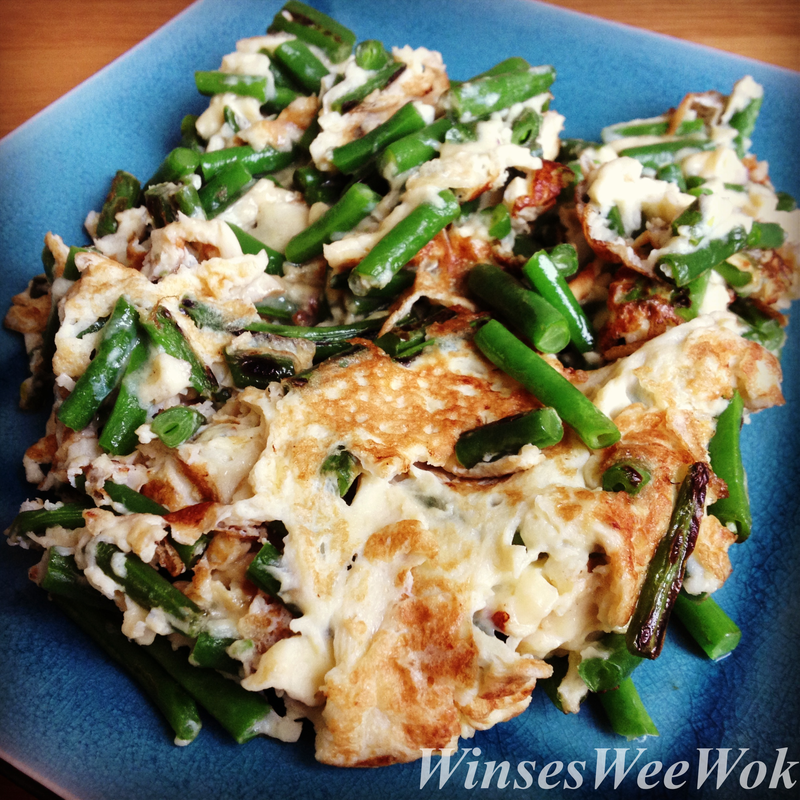 This dish is the same as the omelette and Chinese chives dish but instead of the peppery chives flavour this is a more satisfying mouth full and milder in taste flavour. Both good but just depends what you prefer. Both mum and Grandma made this dish a lot so it’s only fair that I cook it a lot too. Wash, dry long beans, gather into a bunch. Cut into small dices and set aside. In a bowl, mix the corn flour and water together to form a starchy liquid. Add with eggs in a bowl and beat thoroughly. Heat a pan on medium heat, add oil, once hot, add the long beans to cook for 1 minute before adding water. Cook for further 2 minutes then add in the egg mixture. Mix the eggs quickly twice in a circular motion to fluff the eggs. Swirl the pan to even out the egg mixture, heat for 1 minute before flipping it over to heat for 30 seconds. Add salt and pepper. Serve. Hi Winse, What kind of size pan do you use to cook this? Thanks.